Chinese President Xi Jinping is presiding over a meeting of the Chinese Communist Party, called the National Congress. These meetings are held in China every five years. This year it is about crafting a new course for China. The congress opened with a speech delivered by Xi that was designed to fill the people with confidence in a bright future. It did that, and now the congress will proceed for several days, continuing to energize the country. It will not be out of place to remind us little bit of history of Chinese Communist Party and its leaders. Ending the constant internal warfare that had torn China apart in the pre-communist era. End the constant foreign intrusions onto Chinese soil. To create a radically new and egalitarian society. It succeeded in achieving all three goals, but the price was high. Regional conflict was suppressed by a brutal dictatorship. China in many ways withdrew from interaction with much of the world, and constant waves of assaults on Chinese society were carried out, from the Great Leap Forward to the Great Proletarian Cultural Revolution. Millions died of hunger and political oppression. But Mao had crafted a country that had not existed before. The new China was free of internal struggle and free of foreign imperialism. It was also staggeringly poor and filled with suffering. When Mao died in 1976, a power struggle ensued. His faction was defeated by Deng Xiaoping, who recognized that Mao had succeeded in what he wanted but had led the country to the edge of disaster. Deng realized that Mao’s radical communism could not go on, and out of necessity he forged a new model for China. Deng understood that china’s problem was poverty and that only production could solve it. But China was too poor to consume what it produced, so it had to sell its products in other countries – the same strategy Germany, Japan and others had used to recover from their wars. China’s advantage was that it had a capable workforce and very low wages, and by opening its borders to trade, China grew rapidly for more than a generation. Deng created a China that unleashed the commercial expertise of its coastal regions and connected them to customers in the United States and Europe, opening borders while keeping a weakened Communist Party in place. . Deng’s strategy of aggressive exports had reintegrated China into the world economy, but it had also made its success heavily dependent on the appetites of other countries. If they stopped buying China would be dealt a stunning blow. Deng’s reforms created vast regional wealth, but much of the country was left behind. This led to a wealthy China along the coast and an impoverished China in the interior, with an insufficient middle class, unable collectively to consume what China’s overbuilt industry produced. Amid rapid growth, corruption intensified the inequality. China had entered the international arena but only as an economic power. Its military had developed but was still incapable of asserting and defending its interests. China could not adopt a Western-style democracy. It needed to retain a one-party system, and that party was the Communist Party. In fact, the Chinese model of development would become a major lever for Chinese global power as poor countries adopted China’s political system to combine a dynamic economy with one-party rule. In his speech, Xi said China’s economic strategy will now emphasize quality over quantity. He highlighted the importance of China’s technological capabilities – their advancement is essential. Most important, he promised to lift from poverty those who had been left behind. Since that includes much of China, this is a huge task. Without high growth rates, the only way to do this is to transfer wealth from affluent regions. This raises two problems. First, the coastal region, which will feel the pain of such social generosity, is sure to resist. Second, shifting capital to consumption raises the question of how to underwrite massive developments in technology. Xi promised to lift everyone out of poverty by 2020. Xi promised to build a world-class military by 2050. He therefore acknowledged that China doesn’t have a world-class military now and won’t for more than a generation. Creating a world-class military will require immense investment. Finally, Xi made clear that a single-party dictatorship must remain in place, and likely needs to be strengthened. Of course, what Xi has yet to make clear is whether he will anoint a successor to take his place in five years, or whether the party and Xi should now be seen as synonymous. This is something to watch for as the National Congress continues. Meanwhile what China is quietly doing in between merits attention. China is quickly growing into the world’s most extensive commercial empire. By way of comparison, after World War II, the Marshall Plan provided the equivalent of $800 billion in reconstruction funds to Europe (if calculated as a percentage of today’s GDP). In the decades after the war the United States was also the world’s largest trading nation, and its largest bilateral lender to others. Unlike the United States and Europe, China uses aid, trade, and foreign direct investment strategically to build goodwill, expand its political sway and secure the natural resources it needs to grow. Belt and Road is the most impressive example of this In the next decades, China plans to build a thick web of infrastructure around Asia and, through similar initiatives, around the world. Most of its funding will come in the form of loans, not grants. Chinese state-owned enterprises will also be encouraged to invest. This means, for example, that if Pakistan can’t pay back its loans, China could own many of its coal mines, oil pipelines, and power plants, and thus have enormous leverage over the Pakistani government. In the meantime, China has the rights to operate the Gwadar port for 40 years. Belt and Road is China’s biggest foreign policy initiative to date, but it’s no Marshall Plan. China is too dependent on its eastern seaboard and the narrow Malacca Strait near Singapore to get goods in and out of its vast territory; for example, over 80 percent of its oil goes through the Strait. So building trade routes through Pakistan and Central Asia makes sense. Belt and Road also helps China invest its huge currency reserves and put its many idling state-owned enterprises to work. Countries that trade more generally fight less, not just with their trading partners, but with the world in general. In its own way, China is thus helping to uphold international peace. China’s economic impact on the countries it lends to so far seems mixed at best. While the 20 percent or so that China gives in traditional aid does help local economies, most of its largesse comes as loans, which have not been as helpful. Scholars who looked at Chinese investment in Africa 1991 to 2010 found that Chinese assistance does not appear to help economic growth, and that inexpensive Chinese imports often displace African local firms, and thus hurt employment in small enterprises. China usually requires donee countries to use Chinese firms to build roads and ports, and so hasn’t in the past employed local firms or train local workers. In Pakistan, for example, 7,000 Chinese nationals are working on the economic corridor—they bring their own cooks, have separate housing, and don’t interact much with the locals. Relatively few Pakistanis are working on the actual road and rail-building (and thus developing skills)—but Pakistan has deployed nearly 15,000 security personnel to guard the Chinese. China is often the largest investor in countries that others ostracize—because they are run by dictators, don’t respect human rights, and are corrupt—such as Zimbabwe, North Korea, Niger, Angola, and Burma. Of course, while the U.S. and Europe insist on high standards for their aid projects today, both their companies and governments also had terrible records on human rights and the environment when they ventured to India, Africa, Latin America in the 19th and early 20th centuries. On worker safety and the environment, when China first ventured abroad, its standards were often abysmal. In some areas, Chinese firms still leave behind a mess of underpaid miners, devastated forests, and ruined rivers. Yet China is learning quickly. This summer, India deployed troops to prevent China’s People’s Liberation Army (PLA) from constructing a road on the Doklam plateau near the contested Bhutan-China-India border. Indian forces stood in the path of the construction crews, blocking their work and at times even tussling with Chinese troops. Despite increasingly harsh warnings from Beijing, including the threat of “all-out confrontation,” the Indians held fast. After a nearly two-month standoff, both sides disengaged and the PLA stopped its road-building activity, though China made clear that it would “continue fulfilling its sovereign rights” by stationing troops and patrolling in the area. Just ahead of his first official trip to India, Secretary of State Rex Tillerson offered a “love letter” to New Delhi while taking direct aim at China’s ambitious plans to further deepen its influence throughout Asia. Tillerson, in a rare public speech at the Center for Strategic and International Studies on Wednesday, touted the U.S. relationship with India as a cornerstone of the liberal international order and called it a key part of U.S. efforts to shore up its position in the Indo-Pacific region. Secretary of State Rex Tillerson signaled the Trump administration will be leaning on India to offset China’s regional influence, hailing deeper defense cooperation with New Delhi in remarks Wednesday. 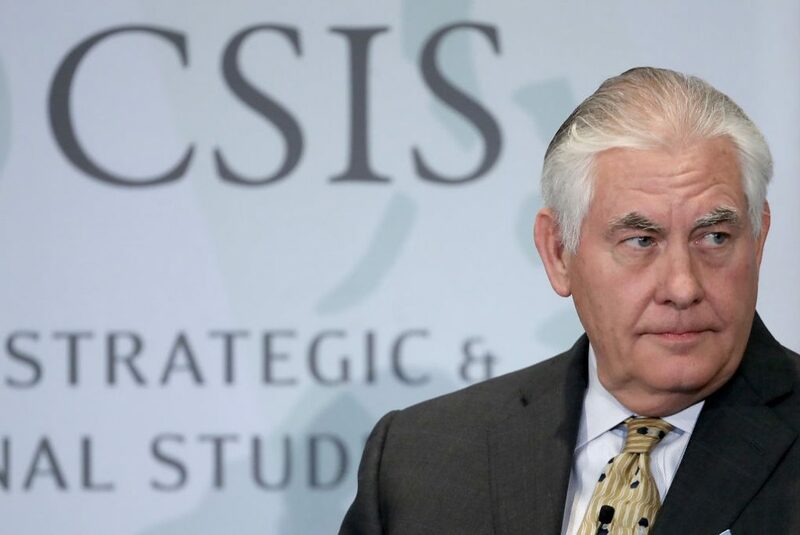 “Our defense ties are growing,” Secretary of State Rex Tillerson said in a speech at the Center for Strategic and International Studies (CSIS) in Washington. A C.I.A. drone was circling a remote valley in northwest Pakistan last month when it picked up an unusual sight: a young woman and children in a militant camp. To intelligence analysts, she appeared to be an American abducted five years earlier while backpacking in Afghanistan with her Canadian husband. It was Nov. 2, 2016, and he was strapped into one of two mammoth CH-47’s flying over the city of Kunduz in northern Afghanistan on a moonless night. Loaded with 59 men in all — a company of Afghan commandos and a team of Green Berets backing them up – the big birds were headed to a village called Boz-e-Qandahari on Kunduz’s northern outskirts. He and the rest of the men had no idea that they were flying into a deathtrap — one that, thanks to incomplete intelligence, would claim the lives of two Green Berets, three Afghan commandos, and 32 civilians, including six women and 20 children. 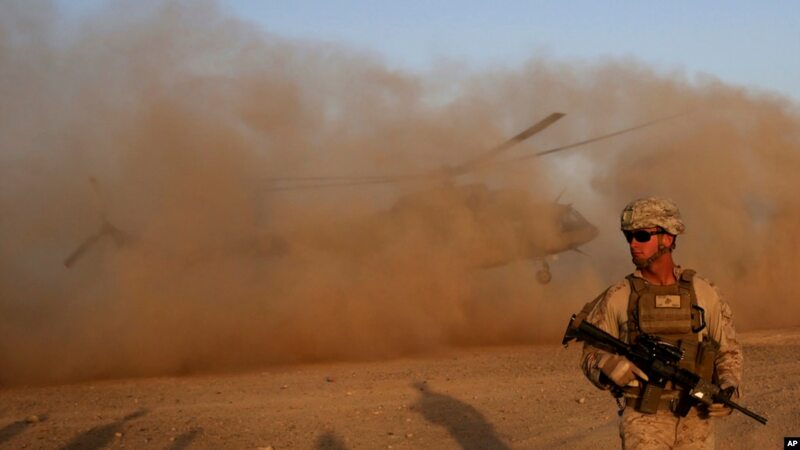 The civilians died as the American and Afghan raiders faced an unanticipated onslaught of Taliban fighters reminiscent of the Mogadishu slaughter memorialized in the movie Black Hawk Down. WASHINGTON: The president of China, seeming to cast aside the better part of four millennia of Chinese tradition, declared today that he sees “a new historic juncture in China’s development,” one that clearly calls for his country to flex its global muscles and change the rules that have guided the world since at least World War II. China Can’t Solve the North Korea Problem. So Who Can? Since 4 July 2017, when North Korea tested a ballistic missile, the world’s focus has been on North East Asia and how to resolve this current crisis. The North Korean nuclear program’s sudden successes came as a shock. However, it was simply a matter of time until these technological advancements were achieved, as the technology required is no longer cutting edge and the North’s nuclear ambitions and missile development program are already several generations old. At this point, the U.S. and the North are locked in a war of words, while outside powers such as China and Russia urge calm and a return to civil relations. Some now see conflict on the Korean Peninsula as inevitable and believe only China can resolve this confrontation without bloodshed. This is wrong. 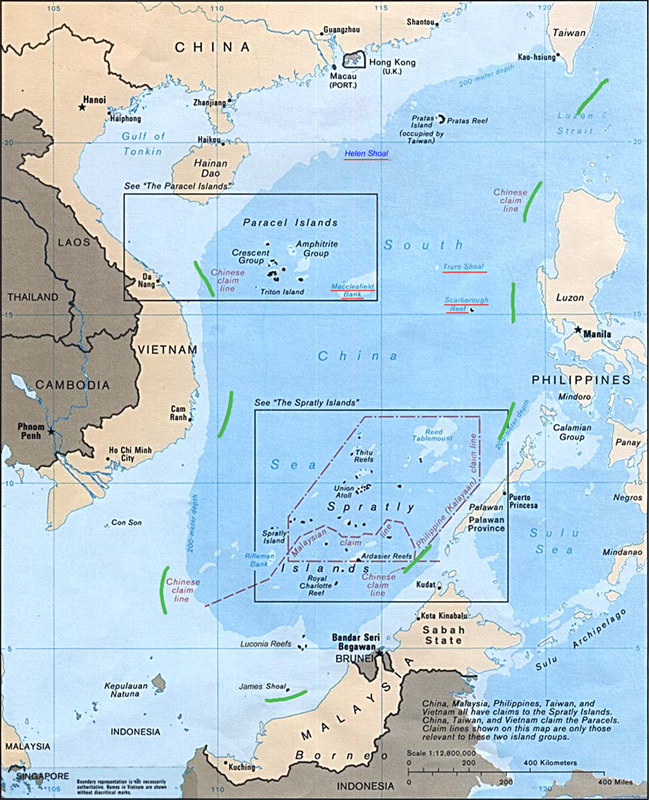 In 2009, China asserted a claim to a huge swath of the South China Sea, including areas deep within other countries’ exclusive economic zones. It was a deft and calculated political move, leaving affected nations with a confounding set of retaliatory options almost none have been willing to implement. Much like the members of the European Union, each of America's states has its own needs to fulfill. Technological progress has given some states an edge in pursuing their goals, but it has also left behind regions that were once among the most prominent forces in U.S. politics - including the country's flourishing breadbasket, the American Midwest. And as the socio-economic gap between different parts of the country has widened, so have their policy preferences. US Army war-planners and weapons developers have been intensifying efforts to fast-track networking technologies designed to potentially counter or destroy a North Korean ground invasion – by better enabling soldiers to operate underground in tunnel complexes and in dense urban environments. While Army innovators and entities such as the service’s Rapid Equipping Force consistently look to address fast-emerging threat scenarios, the prospect of major ground war on the Korean peninsula has, quite naturally, taken on increased urgency in recent months, service weapons developers told Scout Warrior. “This very advantage now has the potential, if we are not careful, to make us vulnerable to attack,” NATO Deputy Secretary-General Rose Gottemoeller said at the end of a cyber conference in Mons, Belgium, on Thursday. Sando works at the Maneuver Center of Excellence, which predicts what the army will require in future for soldiers individually and the force as a whole. He says the move to electric vehicles is not only likely to happen, it’s necessary. 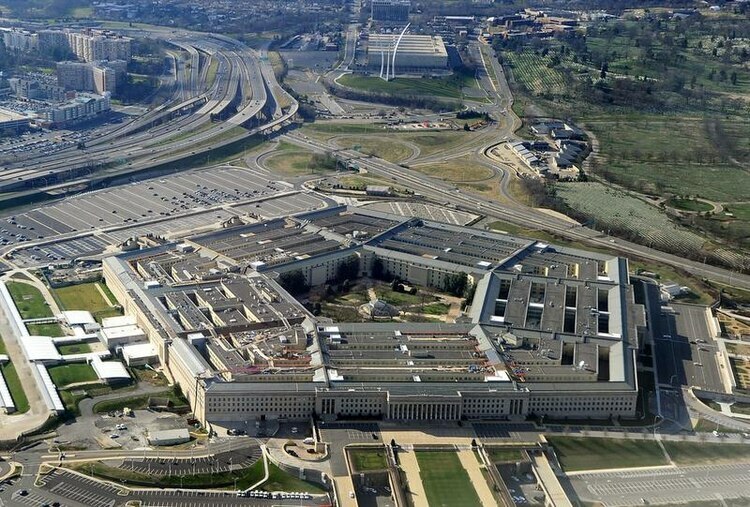 The Defense Department is “in the throes” of making this happen right now, Maj. Gen. Burke “Ed” Wilson, acting deputy assistant secretary of defense for cyber policy and deputy principal cyber adviser to the secretary of defense, said during a media roundtable Oct. 16. Wilson explained they’re in the final stages of trying to get through the elevation process with a working group now up and running. In military training, the body and mind are often pushed to the limit. In some cases, it could prove to be deadly. "We are killing more Marines and soldiers in training than in combat. Why does that happen? A lot of times it is fatigue," Lt. Col. Warren Cook of the U.S. Marine Corps said. Cook spoke on a panel of military personnel at the University of Southern California's Global Body Computing Conference in Los Angeles. Commanding officers and scientists discussed the benefits of using technologies such as wearable sensors to help recruits be more aware of their body's limits so they can train better and safer.